NEW HAVEN, Mo. 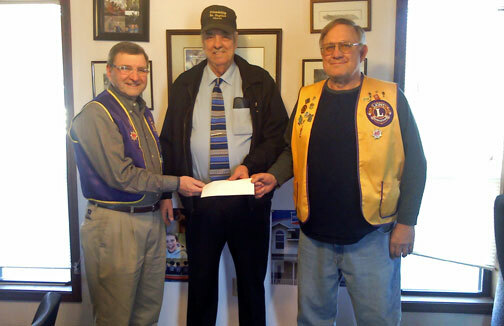 - Earlier this month Al Wherle and Tom Lagemann with the New Haven Lions Club, presented Rev. Elvis Lee, Director of the New Haven Food Pantry, with a donation from proceeds raised at the Lions Club Annual Pancake Supper. Video recorded by New Haven High School’s multimedia class. 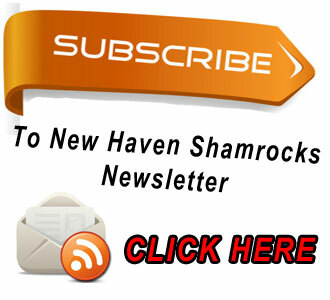 Check out New Haven High Schools online news site at NewHavenShamrocks.org. Photo courtesy of New Haven High School. NEW HAVEN, Mo. 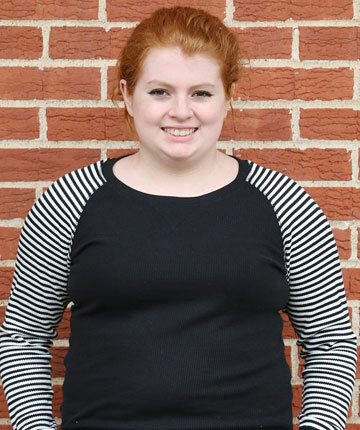 - The February Student of the Month is Senior Kayla Watson. Kayla is the daughter of Stacey and Jeremy Watson. She is active in FBLA. Pictured above is preliminary drawing provided by BFA Engineering Surveying, showing the location of the new track in relation to the high school as well as how additional options added as funds are available, such as concrete around the track. NEW HAVEN, Mo. 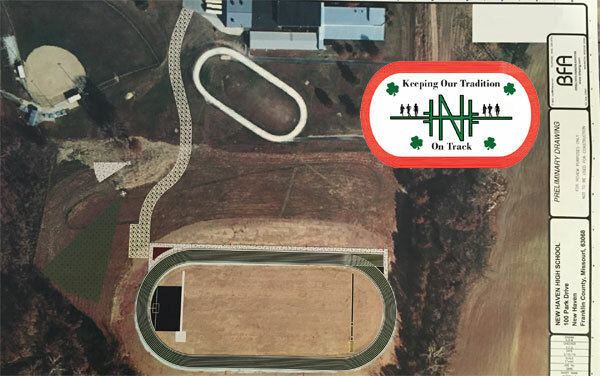 - The construction of a track at New Haven High School is now becoming a reality and by late summer of this year the committee and very confident that construction will begin. Tuesday evening a town hall meeting was held by The Committee to Build a New Track where committee member Brad Zobrist spoke about the projects financial status as well John Nilges, Project Manager with BFA Engineering Surveying, who revealed drawings and talked about the initial steps to kick start the project. Click here to watch video of the announcement Thursday morning. 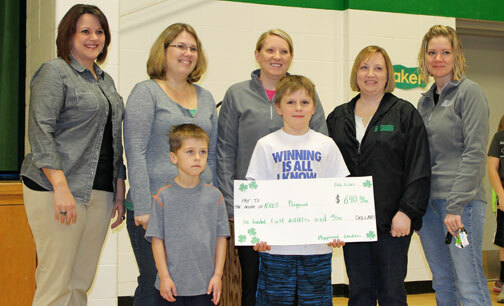 Student Playground Leaders present a check for $640 from the Funds for Playground Fun to members of the New Haven PTO, prior the big announcement. NEW HAVEN, Mo. - Thursday morning New Haven Elementary students erupted when Principal Kasi Meyer made a surprising and unexpected announcement that the New Haven PTO had raised enough money to purchase all new playground equipment for the school. Video was produced by Shannon Belsher, Ellie Scheer, Rose Struttmann, and Taylor Ritson. The Washington High School Blue Jay Journal TV recently interviewed Brenda Bailey of New Haven about overcoming brain cancer. Click here to read more about Brenda Bailey’s amazing story.